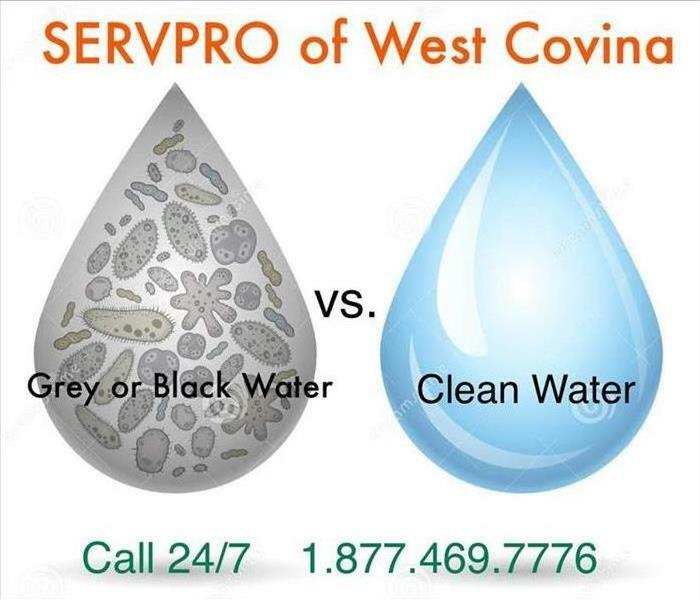 SERVPRO of West Covina provides 24-hour emergency property damage cleanup and restoration services for both residential and commercial needs. Located in southern California, we are dedicated to being faster to any size disaster. Combined with industry certified training, professional equipment, and over ten years of experience to handle the various disasters that unexpectedly occur. We are here to help our SOCAL community weather the issues are from natural elements such as smoke, soot, fire, board ups of windows and doors, water, slow water leaks or sudden ruptures of pipes, mold, rain or wind damage requiring temporary roof tarping to keep the elements out or an accident requiring a swift response such as a vehicle crashing into a building or a trauma cleanup needing proper protocol to be followed for biohazard disposal. Other local situations may be non emergency but still needing to make use of our specialty cleaning services such as terrible odors, families addressing hoarding issues, pot house / marijuana growers property damages or tear gas damages, etc. Call today for a complimentary visual inspection! Why SERVPRO? We are here to help. . .